If you’re a regular Flickr user, you know that the web interface for uploading photos could use a few more features. Sure, you can select multiple items, change your privacy settings, safety level and content type, but that’s about it. What about labels? What about descriptions? Those need to wait until after you’ve uploaded your photos. With Orifli, a desktop Flickr uploader for Linux, you can do all that before beginning the upload. Orifli, from Original Coding (the makers of Histwi, a neat utility for managing your Twitter account), is a drop-dead simple Flickr uploader that still manages to sneak in a few nice features. 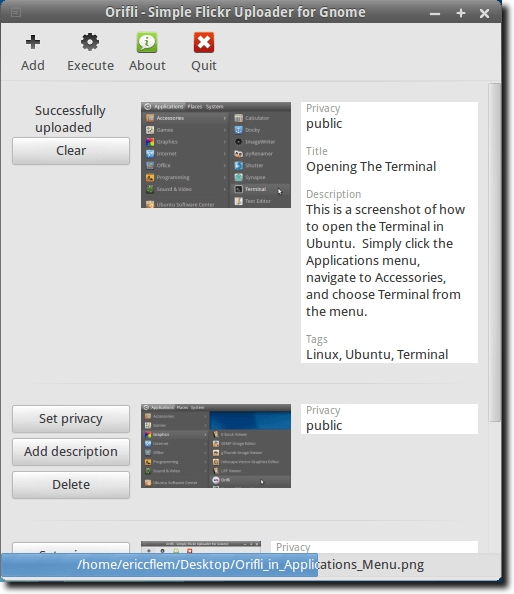 As with many Linux programs, Orifli has a personal package archive (PPA) for Ubuntu, while users of other distributions, can run Orifli from the source code. Note: this isn’t that difficult, as it turns out. Simply ensure you have Python (at least version 2.6), and GTK+ (at least version 2.12), then download the source code from here, unpack the archive, and run python orifli.py from the Terminal. For Ubuntu users, installing Orifli is as simple as running three commands. 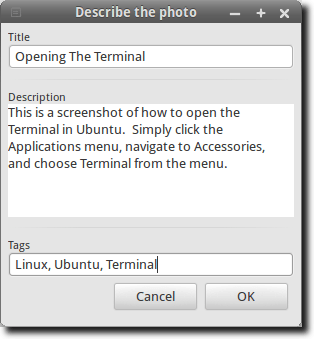 First, open a Terminal. This will add the Orifli PPA to your list of software sources, as well as download the PGP key. Next, type or paste this command to update your list of available software, which will make your package manager aware of the new PPA. 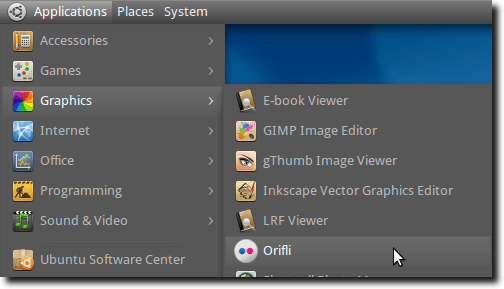 Once the installation is complete, you’ll find Orifli in your Applications menu, under Graphics. When you first start up Orifli, you’ll see a basic window with a few buttons in the toolbar. Those buttons allow you to select your photos, start uploading, get info about Orifli, and quit the program. Adding photos is simple, of course. Click the Add button, and choose what you want from the standard file picker. Once you’ve selected your photos, however, you get a few more options. As mentioned above, one nice feature is the ability to actually add tags to your photos before uploading. And since all the photos you have queued for uploading are all in the same window, it’s easy to go from one to another, bam bam bam, right in a row. From the same window, Orifli allows you to write your descriptions in the same interface, which again leaves you free to do other things. 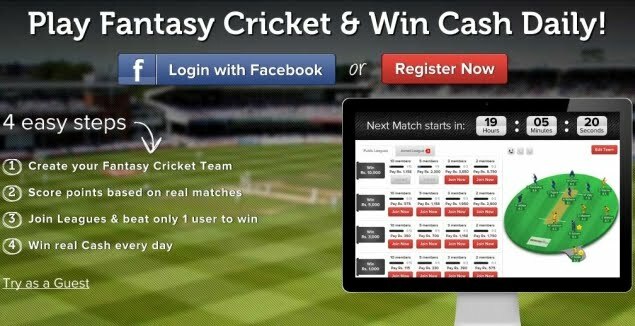 To access these features, simply click the Add Description button beside a picture. 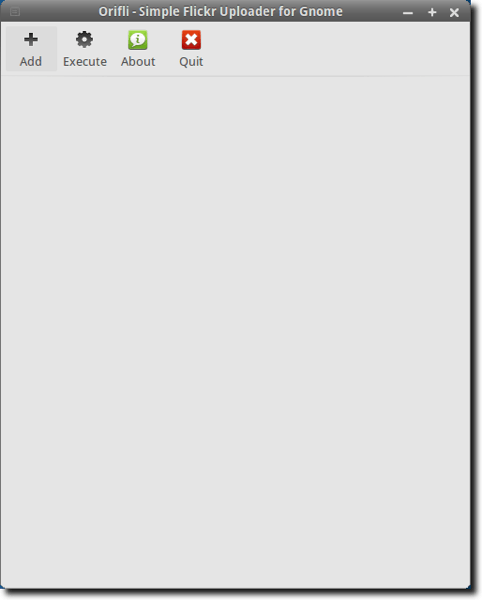 A new window will appear, where you can fill in the title, description and tags. 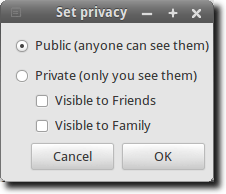 In the same way, you can click the Set privacy button beside an image to modify who can view your photo. Once you’ve written your descriptions and tags, and modified your privacy settings, click the upload button and that’s it. Go do something else while Orifli uploads your pictures. Note: the first time you upload photos, you’ll need to give Orifli permission to access your Flickr account. If this is the case, your web browser will open, and you’ll need to log into your Flickr account. Then just acknowledge that you want to give Orifli access, and from then on you’ll be able to upload to your Flickr account with it. Simple! One big advantage Orifli has over the web-based uploader is that each of these settings can be modified per image instead of for the entire batch. With the web-based uploader, every image you upload in a batch has to have the same settings. 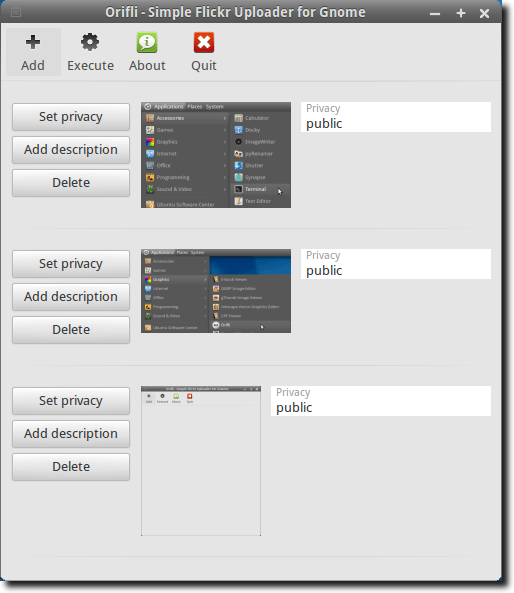 Orifli lets you set different tags, descriptions and privacy settings per image. It doesn’t do everything, however. Orifli doesn’t allow you to set your safety level or content type (although that might be coming… Orifli is currently only at version 0.2.2, so as was mentioned at the top, it’s pretty new), nor does it support videos, which Flickr’s web-based uploader does. Still, for what it offers, and how simple it is to use, Orifli is a nice option. It’s a native client for Linux users, so no need to install WINE or Adobe AIR to get a more full-featured option on your system (like theGOOD Uploadr, which requires Adobe AIR). 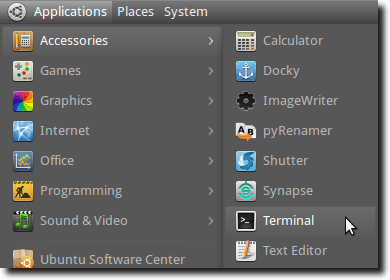 It isn’t as powerful, but for basic Flickr users running Linux, it’s a good way to go.